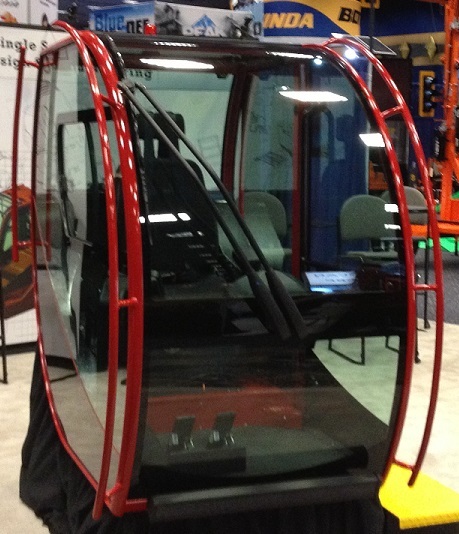 Introducing the Redesigned Cab of The Future 2.0 With More Advancements - C-I-T | Manufacturing Innovation. World Class Customer Service.C-I-T | Manufacturing Innovation. World Class Customer Service. While a cab may just be an operator enclosure to some manufacturers, we have created an operator environment that is focused on the best comfort and visibility possible – and we’ve incorporated some very visually appealing aesthetics. So, we started with a clean sheet of paper. As opposed to adding on to an existing box, our design team started with creating an ideal operator experience that is based on real customer / operator complaints. This is the foundation of our innovative approach to creating The Cab of The Future 2.0. And the increased overall visibility delivers the same increase in visibility from the outside in. This, of course, makes for easier servicing of parts that were previously difficult to see. Some of the other benefits include better safety and efficiency, better load visibility and a significantly improved operator “comfort” experience. Its packed with features and benefits that we will reveal in subsequent posts – and of course *drum roll* we will be debuting it at CONEXPO 2017 in Las Vegas. For an early briefing and discussion of capabilities, please call Mike Owens at 866-439-1493 ext. 266.